I’ve seen a lot of commercials on TV about reverse mortgages. How do they work and who should consider a reverse mortgage, if anyone? It’s hard to miss those commercials. They’re ubiquitous and typically feature some past-his-prime actor or B-list celebrity with an avuncular demeanor touting the advantages of getting cash from your home. But while reverse mortgages can be a useful retirement-planning tool in the right circumstances—helping you to boost retirement income, pay off mortgage debt or other loans or even buy a home—you should also understand their potential downsides. Check Out: How Can I Save on Retirement Investing Fees? Toward that end, here are five things you need to know before you sign up for one. 1. The reverse mortgage basics. 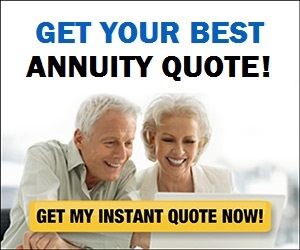 You must be 62 or older to take out a reverse mortgage. The amount you can borrow depends on your age, interest rates and the value of your home. Under the Department of Housing and Urban Development’s HECM program (Home Equity Conversion Mortgage)—which is the program used most often by reverse mortgage lenders—a 65-year-old who owns a house worth $250,000 with no outstanding mortgage might be able to borrow as much as $127,000, according to the Boston College Center For Retirement Research, although fees and other restrictions may reduce the amount of cash you can actually get your hands on at least initially. Under current rules, for example, you can’t take more than 60% of the maximum loan amount at closing, unless you’re using loan proceeds to cover “mandatory obligations” such as paying off an existing mortgage or making repairs required by the lender. In that case you can draw more, although you’ll incur higher fees. Reverse mortgages come with fixed- or adjustable interest rates. If you opt for an adjustable rate, you can take the proceeds in a lump sum ($127,000 in the example above), lifetime payments ($8,600 a year), a line of credit ($118,500) or a combination of all three. An upfront withdrawal is the only option with a fixed-rate loan. You don’t have to repay the money you borrow as long as you remain in and maintain your house. When the borrower (or borrowers) dies or leaves the home, heirs can repay the loan from their own funds or sell the house, in which case the sales proceeds satisfy the loan, even if they fall short of the outstanding balance. If the sale proceeds exceed the amount of the loan, the excess goes to their heirs. 2. The fees and costs can be substantial. 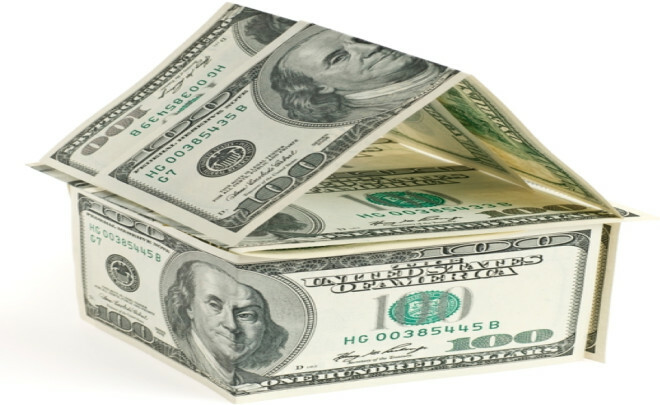 Reverse mortgages come with an extensive array of fees. There are the fees you would incur with a regular mortgage, such as an appraisal, title search, inspection, etc. Then there are fees related to the HECM program itself: a mortgage insurance premium of 0.5% of the house value at closing (2.5% if you draw more than 60% of the maximum loan amount), plus an annual mortgage insurance premium of 1.25% that’s added to the interest rate on the loan. Lenders may also charge an origination fee for the loan. The amount is based on the value of your house, although the HECM program caps this fee at $6,000 for the most valuable homes. Lenders may also charge up to $35 a month for servicing the loan. And, of course, there’s the mortgage interest rate. In the case of an adjustable rate reverse mortgage, the rate is typically tied to benchmark like the 30-day LIBOR rate plus a margin, say, two to four percentage points. These fees can definitely add up. The upfront charges alone in many cases can easily total 3% or more of the value of your house (although these fees are almost always included in the mortgage as opposed to paid out-of-pocket). But HECM-mandated charges such as the mortgage insurance premiums aside, many fees as well as the loan interest rate can vary from lender to lender, so it pays to compare rates and fees and shop around for the best deal. 3. You shouldn’t consider a reverse mortgage if you can’t afford to maintain your home. Although the HECM reverse mortgage program is designed so that you don’t have to repay the loan as long as you remain in your home, the program also requires that you stay current with homeowners insurance and property taxes and keep the property in good repair (to maintain its market value). Otherwise, the loan could go into default and the lender could demand payment. If you’re in such dire financial straits that maintaining your home and paying insurance and taxes will be an issue, you’re probably not a good candidate for a reverse mortgage. Starting in March, borrowers taking out a reverse mortgage will have to undergo a mandatory financial assessment to confirm they’ll be able to afford to continue living in their home. Similarly, since the upfront costs of the loan can be steep, a reverse mortgage may not be a good choice if you don’t plan to stay in your home a long time. If you take out the loan and end up leaving your house shortly afterward, you’ll have handed over a good chunk of your home equity in fees for which you may have received only a small benefit. You should also think hard before taking out a reverse mortgage primarily as a back-up line of credit that you intend to tap only in emergencies or if your nest egg begins running low later in retirement. On the one hand, it’s nice to have a reserve you can fall back on. But you’ll be shelling out a substantial amount for that flexibility, as you’ll incur all the upfront costs, plus interest charges on them, whether you draw on that reserve or not. 4. Make sure you know what happens if a borrower moves out or dies. In cases where both spouses are the borrowers on a reverse mortgage loan and one of the spouses dies, the surviving spouse has the right to continue living in the house without repaying the loan and continue drawing down on it if funds are still available. A problem can arise, however, if one spouse is not listed as a borrower on the reverse mortgage. When the borrowing spouse dies, the question is whether the non-borrowing surviving spouse must repay the loan to stay in the house or is entitled to remain in the home for life without repaying it. A lawsuit brought against HUD by non-borrowing spouses facing this issue is still pending. In the meantime, HUD has issued a ruling essentially saying that for reverse mortgages closed after August 4th of this year, a non-borrowing spouse can remain in the house after the borrowing spouse dies, assuming the couple was married at the time of the loan closing, occupied and continues to occupy the house as a primary residence and the non-borrowing spouse is listed on the loan documents. The takeaway here for anyone now contemplating a reverse mortgage is to make sure you understand what rights anyone who may be living in the home has when one or both of the reverse mortgage borrowers dies. For example, based on the recent HUD ruling, someone who marries a reverse mortgage borrower after he or she has taken out the loan or a child of the borrower who had been living in the home would not be entitled to stay on without repaying the loan. Before taking out a reverse mortgage, all borrowers must participate in a mandatory counseling session with a with a government-approved counseling agency. The sessions can be done face-to-face or by phone and typically last 90 minutes. You can find a list of such agencies at the Department of Housing and Urban Development’s site. Aside from confirming who can remain in the house after the death of a borrower, you’ll also want to be sure you fully understand all the upfront and ongoing costs you’ll incur by taking out the loan. 5. A reverse mortgage isn’t your only option (and maybe shouldn’t even be your first). While reverse mortgage pitches dominate the airwaves, they’re not the only way to draw on the equity in your home. Another alternative you might consider is trading down to a smaller and/or less expensive house. Granted, that would mean going through the hassle of moving out of your current home, but trading down does have other potential advantages. Depending on what you pay for your new digs—and incur in moving, selling and other costs—you may be able to come away with a house you own free and clear, lower carrying costs and a pile of cash that you can live on. Combine the trade-down with a move to a less expensive part of the country, and you might lower your living costs even Finally, you would also still have the option of later doing a reverse mortgage on the new home you acquired in the trade down. The BCCRR paper I mentioned earlier has a good example comparing a trade-down to a reverse mortgage, but trading down is an option you should also discuss with a reverse mortgage counselor. In fact, it might be worthwhile to pay a financial planner a flat fee of, say, $200 to $300, to run the numbers on both options. Believe it or not, I haven’t gotten into a lot of the nitty-gritty details of reverse mortgages. So before you even think of talking to a lender, I suggest you do a little advance research by checking out the Mortgage Professor and AARP sites. You should also know that, as with any financial product that involves a lot of money changing hands, there may all sorts of unscrupulous operators out there pushing you to make a move that may benefit them more than you. In the case of a reverse mortgage, that could be someone coercing you to use the proceeds for a costly home renovation that you may not need or a putative financial adviser whose goal is to get you to invest the proceeds in some sort of commission-generating investment, such as annuity.